Locked inside of a deserted mausoleum, Randolph Carter and Rhode Island artist Jarrett McPhee stood under candlelight with two cans of The Unnamable Black Lager in their hands. 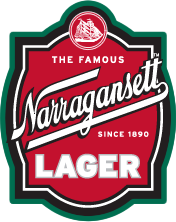 There, immersed in darkness at the request of Narragansett Beer, the pair wondered why they had agreed to go to such great lengths in order to illustrate the label for Narragansett’s fifth chapter and sixth release in its Lovecraft Series. For previous beer commissions, Jarrett simply had to draw and submit a few designs to the ‘Gansett team, but Mark Hellendrung, President of Narragansett Beer, impressed upon him that this particular brew was darkly different and could only truly be illustrated once experienced. 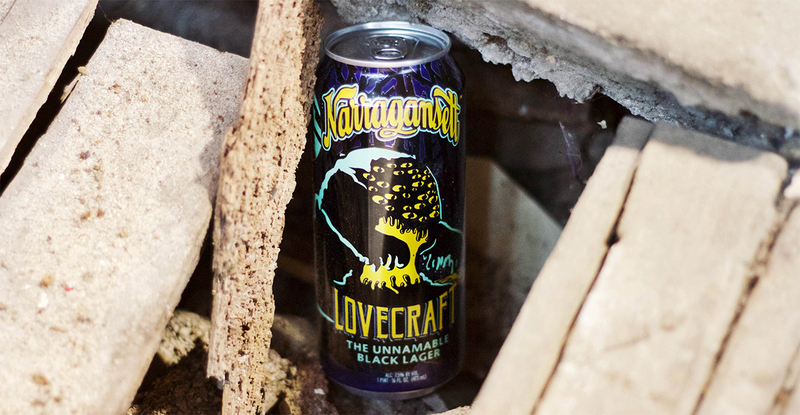 After all, Narragansett even grew The Unnamable’s hops in the graveyard. Knowing that he would see no remittance for his designs until he faced The Unnamable, Jarrett dismissed Carter’s childish warning and cracked open a can. Immediately, the crypt filled with an earthy, dank stench that made him lurch. 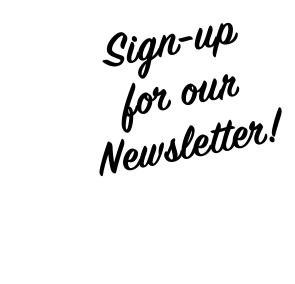 Struggling to see through a fog of sticky green smoke, Jarrett took a sip of the beer and saw the outline of something down the hall. Calling out for Carter, it wasn’t until he was nearly face to face with the ultimate abomination that he realized it wasn’t Carter he saw at all. A split second later, Jarrett lost consciousness and woke up a week later in Rhode Island Hospital. With a horror drenched backbone of Chocolate Rye, Cara Red, Carafa Special 1 and Pilsner malts, The Unnamable Black Lager is a roasty brew with flashes of toffee, caramel, coffee and dark chocolate. Stand watch or those hops will grab you by your throat when you’re not looking. 7.5% ABV and 76 IBUs. NEW ‘Gansett Light 12oz 12-Packs!! !